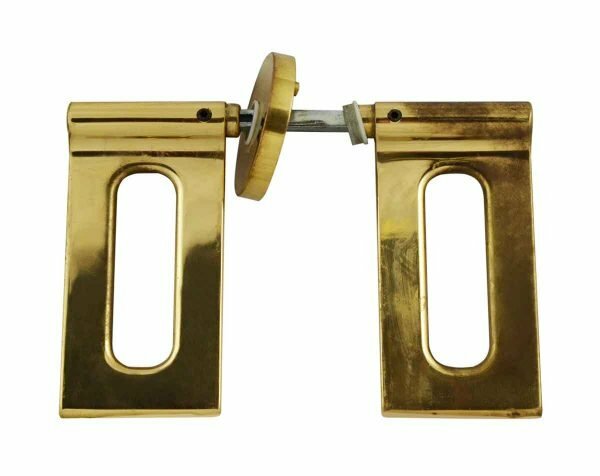 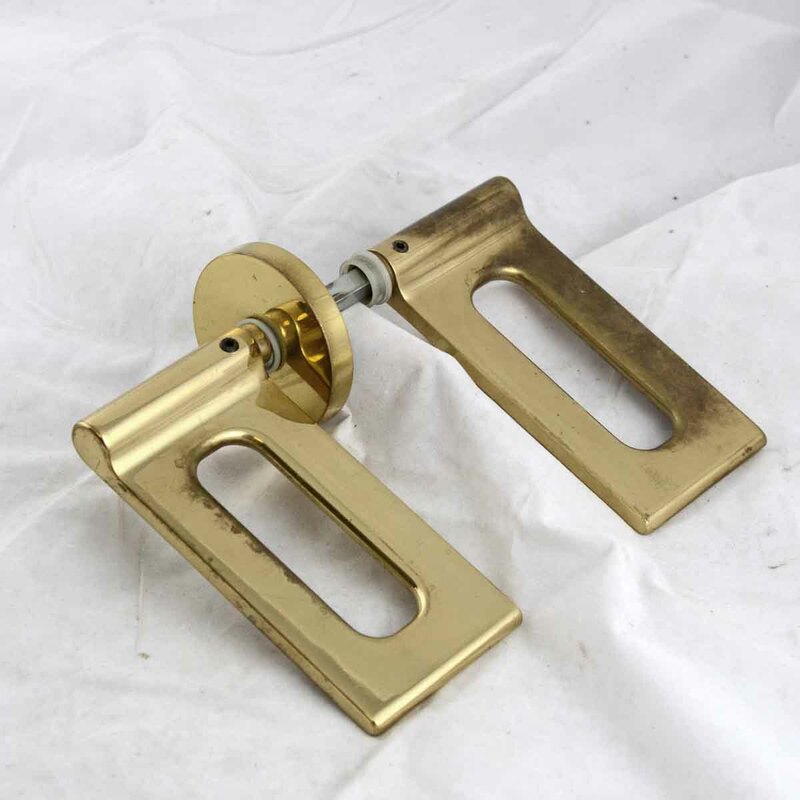 Modern rectangular lever handles with rosettes in solid yellow brass. 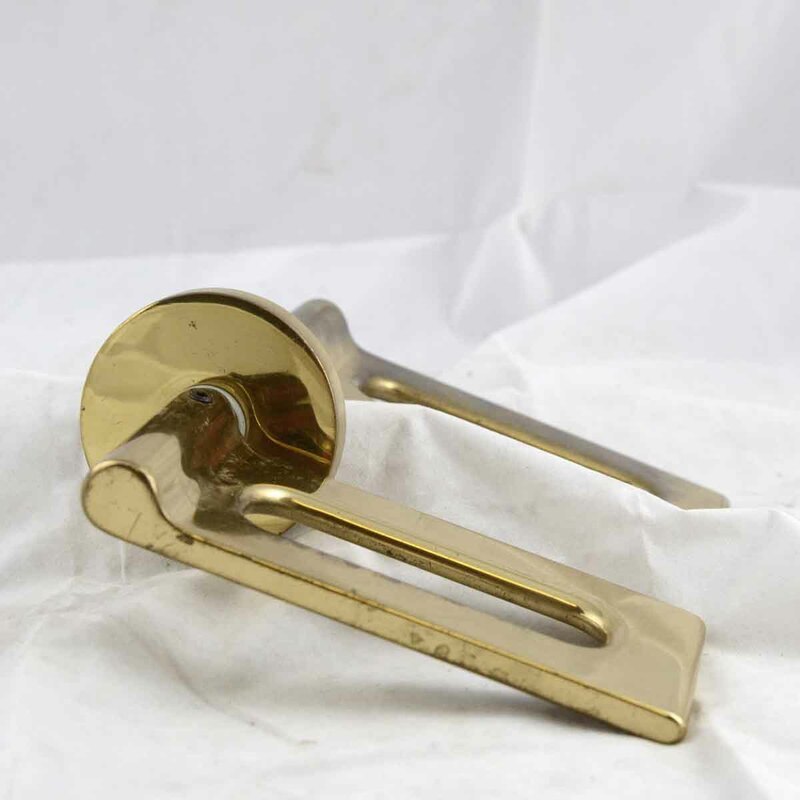 Set includes two levers, one rosette and a rod. Priced per set.